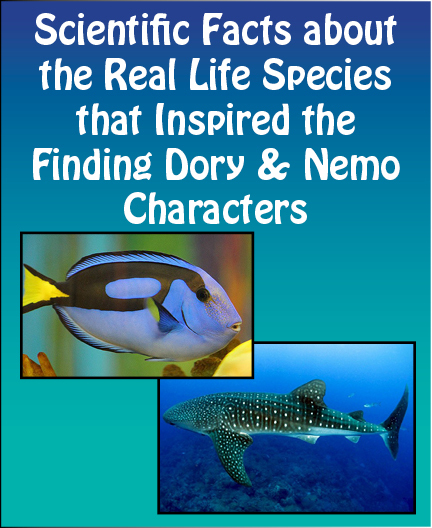 Lucid Publishing specializes in books that give students scientific facts about marine life. 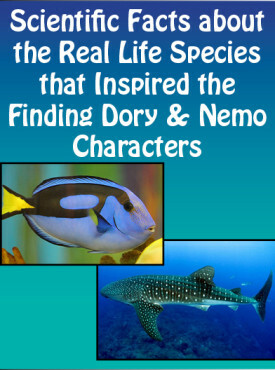 Several of our titles include information about the species that inspired the characters from the movies Finding Dory and Finding Nemo. For example: Did you know??? The Ocellaris clownfish is also known as the false percula clownfish, common clownfish, or anemonefish. Its scientific name is Amphiprion ocellaris. This common clownfish has a small stocky body and will grow to about 4 inches. 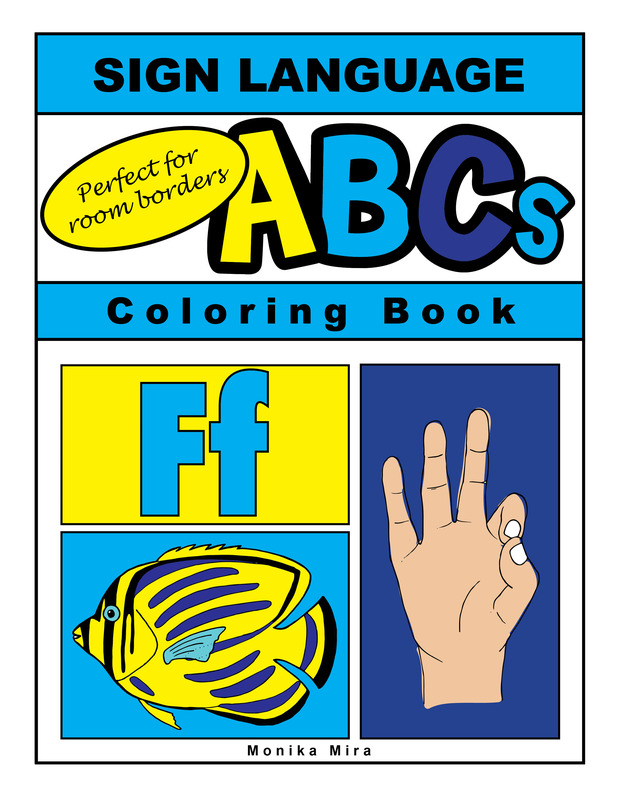 This species is usually orange with three white stripes outlined in black. Anemonefish can be found in the Eastern Indian Ocean, the Western Pacific Ocean, Northern Australia, Southeast Asia, and Japan. 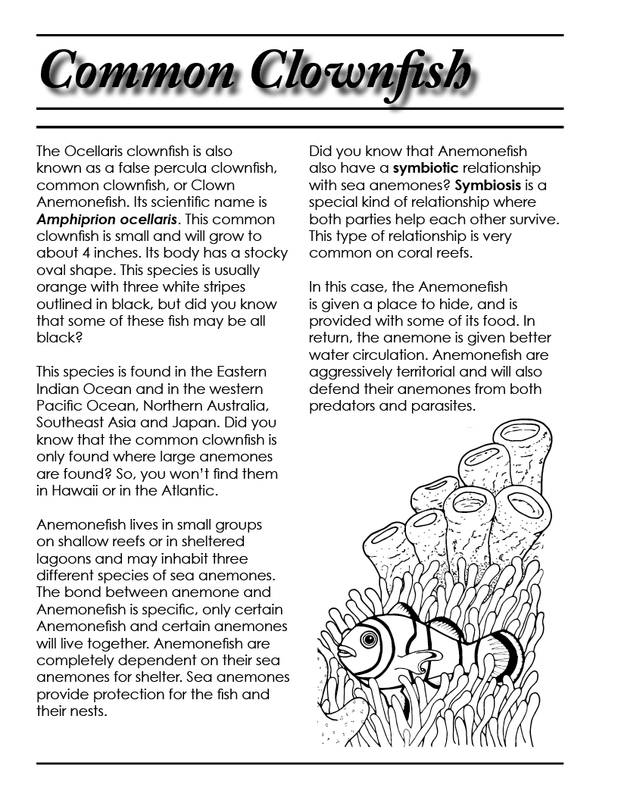 Did you know that the common clownfish is only found where large anemones are found? So, you won’t find them in Hawaii or in the Atlantic. Anemonefish live in small groups on shallow reefs or in sheltered lagoons and may inhabit several different species of sea anemones. 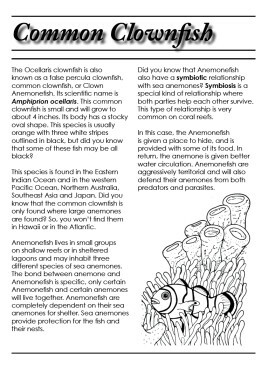 The bond between anemone and anemonefish is specific, only certain anemonefish and certain anemones will live together. 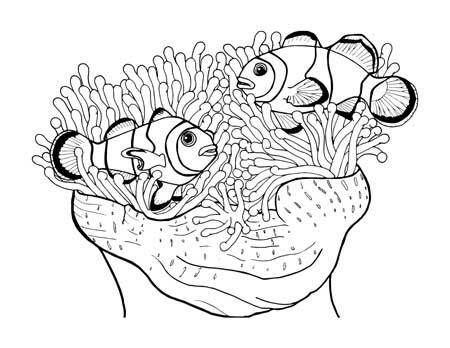 Anemonefish are completely dependent on their sea anemones for shelter. Sea anemones provide protection for the fish and their nests. You can learn more about these species in our new title: Finding the True Stars of the Ocean, A Realistic Sea Life Coloring Book for Future Marine Biologists. 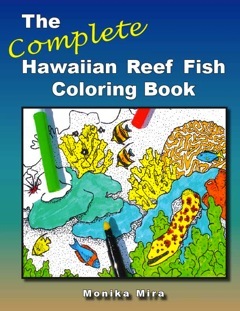 Snippets of information may also be found in some of our ebook titles like: Fun Fish Facts, Coral Reefs, or Hawaii’s Green Sea Turtles. 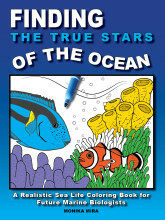 Finding the True Stars of the Ocean pairs Fact Sheets with colorable illustrations to help teachers drive home topics about marine science.